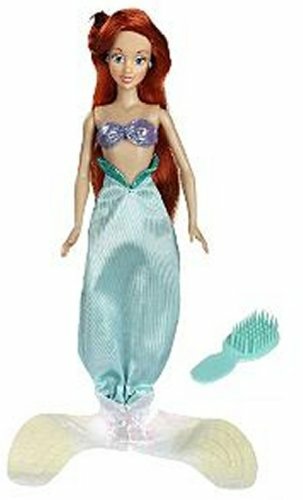 This Ariel (Barbie style) doll is so beautiful. She has 1 of the most amazing big blue eyes. 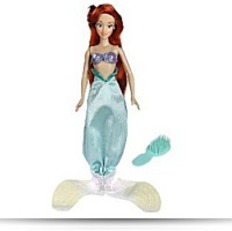 She has long, extended near her knees beautiful redish hair, she is dressed in her mermaid outfit. Package: Height: 3.9" Length: 14.1" Depth: 4.3"